Medical Marijuana Fails full disclosure and eye doctors must work to provide clear education about what is known at this point. Reports circulating the last few years indicate that there may be no increases risk of lung cancer associated with smoking marijuana. What they fail to mention is a rapid increase in chronic lung disease. Other studies have been quoted showing a decrease in VEGF (vascular endothelial growth factor) and supposed value in treating macular degeneration. VEGF stimulates new blood vessel growth. Decreasing VEGF would theoretically lower the conversion rate of dry macular degeneration to the more sight threatening wet form. Unfortunately, the chronic lung disease and damage combined with the blood pressure lowering effect of marijuana will probably prove the reverse and show it accelerates the risk for macular degeneration. Decreased oxygen to the retinal tissues is a primer driver in the transformation of dry macular degeneration to wet macular degeneration. Isolating the VEGF may someday prove useful in the treatment of macular degeneration by your optometrist, but for today it is still best to stay with the documented nutritional interventions and current VEGF treatments available, Avastin and Lucentis. Please help. I was diagnosed Sept.15 2011 with a choroidal nevus,which my Dr. found to be bleeding. I am 62, wear glasses to correct astigmatism, hyperopia, and presbyopia. I have cataracts not needing removal at this time. My Dr. also found anatomic narrow angle glaucoma, which he corrected with laser surgery to both eyes on 9-15. He started me on Avastin injections to my right eye at the same time. That, of course, is the eye with the nevus. I am to continue this treatment monthly for 2 years. He said both of my conditions are very rare. I live in Ohio, have greenish-brown eyes, don’t work outdoors, but have spent lots of time in the sun. He said the nevus has been there since birth. I am truly worried about this. I do not have insurance at this time, but I need to have treatment. I am asking for input as to my condition as well as any possible place I can contact to assist me with payment for this procedure. I appreciate the time you are taking to read this. Please give me some advice. May God bless & keep you safe. Narrow angle glaucoma is uncommon but not really rare. It accounts for about 5% of glaucoma cases in the US (in some countries it is the most prevalent type of glaucoma). The great thing about narrow angle glaucoma is that it is can be 100% cured by the type of treatment you have had in most patients id detected early. Normally glaucoma requires treatment for the rest of your life. Choroidal nevi are fairly common occurring in 5-10% of healthy eyes. Most of the time they are congenital but undetected until later in life. It is very unusual for them to bleed. Small blood vessels can break though layers in the back of the eye and bleed. It can be somewhat difficult to differentiate between this condition and a choroidal melanoma. I presume the have done ultrasound testing and other procedures to make sure. Is the avastin being used to treat this or for macular degeneration? There are two links to cut and paste into google for you if you are currently uninsured. Let me know if this is not what you are looking for. Sorry but smoking pot does not help you throw away your glasses. It might help you lose your glasses or not care about wearing your glasses or make you see things without your glasses that you can’t see at any other time, but it really won’t cure your myopia. No eye doctor will ever legitimately write you a prescription for MMM (Medical Marijuana for Myopia). Maybe you should try saying a friends brother-in-laws mom’s sister thought she might have had a touch of glaucoma and you are concerned you have contracted it by listening to his voice mail message. And the starbursts?- Avoid those booking photos like the plague in the future! (Just remember to say you never inhaled-it worked for President Clinton). All kidding aside, there are a lot of unanswered questions about the possible risks and benefits of the medical use of marijuana. I think there are a lot of questions that will remain unanswered if the trend towards the decriminalization of marijuana continues. Unfortunately, many fraudulent assertions have been made in the quest to decriminalize marijuana use from both sides. With decriminalization, there is no further drive to study health issues. Even casual use of marijuana in people with glaucoma may be harmful by creating wider swings in pressure or helpful by temporarily lowering eye pressures-and you will still have red eyes from systemic effects of the drug (its not just the smoke). We may never know all of the effects but one thing is pretty clear- hang on to those glasses you are still going to need them! You should get your facts right. Marijuana does not cause any types of lung damage what so ever. Can’t stand stupid fucks like this doctor. Studies on the health effects of marijuana are very difficult to do. To date, they are generally based on self reported behaviors of what has been an illicit drug (i.e. those reports have not been very good, introducing unreliability into any results). Pot users often also smoke tobacco products and while efforts are made to account for this, it is still not truly accurate. The side effects of tobacco took years to determine as the damage accumulated over a long period of time. Research is better today but it is still tough to account for this effect. There has been very little funding in past decades to research the health effects so we are behind from the get go. The research starting in around 2008 gives a good reason to question the 2006 Tashkin results. Science is never based on a single study, it need to be repeatable. We just don’t know for sure at this point in time. There may be safe levels, there may not. The one thing that is a safe bet- it does not make your lungs healthier! Hey Dr. if you have a macular eye haemorrhage then is it safe to smoke marijuana? I think it is not possible to answer your question with what we know today. There are at least 80 different active compounds found in marijuana and they have different and sometimes opposing types of actions. There are compounds that may have some neuroprotective effects for the retina and that help prevent the spread of new blood vessels that can be very damaging. Marijuana increases the heart rate and may raise (or lower) blood pressure depending on whether you are lying down or standing up. High blood pressure would tend to increase the risk of further bleeding. Low pressure could cause further damage from hemorrhages by decreasing the blood flow to retinal tissues that are already compromised, or it could protect the eye from further hemorrhage from the reduction in pressure. Cyclical alterations in blood pressure could be very damaging, we just don’t know. There have been a few studies suggesting the risk of stroke increase with marijuana consumption. If that turns out to be true then that would be a concern with a macular hemorrhage since similar mechanisms could be at play in the retina. I don’t believe those studies are really definitive at this time. It does seem likely that smoking marijuana in addition to tobacco amplifies the risks of cigarette smoke. Tobacco is a significant risk factor for macular degeneration and probably does increase risks of having and complicating a macular hemorrhage. Abrupt discontinuation of marijuana in a heavy user appears to create a short term increase in blood pressure in some users. If someone developed a macular hemorrhage and abruptly stopped smoking marijuana some people might increase the hemorrhage from a spike in their blood pressure. People not in this subset could have improvements in the condition in some cases. Macular hemorrhages are pretty serious stuff since they leave long term damage to eye sight. 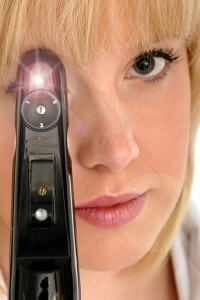 Make sure you are under the care of a competent eye doc and ask their advice. I would not consider it beneficial with today’s knowledge but I would be concerned about abruptly stopping. Moderation is the key to most things we do. Hope this helps. There is a great deal of proof historically, research and anecdotally that medical cannabis, not only decreases IOP, but helps prevent its rise in the first place. Given that the pharmaceutical industry is rife with fraud and biased research (which is admitted by those within the industry itself), and given that the industry has historically fought the legalization of cannabis for its own selfish reasons, it would not be unwise to assume that medical cannabis probably has a much greater salubrious affect in ocular health than pharmaceutical research indicated. Note smoking is no longer deemed the most efficient way to consume cannabis for optimal effects. Sub-lingual tinctures are superior. While I agree with you that research has been supressed, unfortunately in its present form cannabis is not a realistic way to treat glaucoma. You can check my blog post on it for further clarification . There are definitely active cabbinoids that have pressure lowering effects and may act in other ways to protect against glaucoma. Due to the short half life of the raw components, at best it is an adjunct treatment to longer acting pharmaceutical drugs. That is not to say that there could not be a very good active component that could be modified to act in a long term fashion. Sadly the politics of pot will probably prevent any significant research and we will probably not know if it could help (or make things worse). My Wife was recently diagnosed with Wet MD. It started out as PIC which lead to CNV, and now she is diagnosed with wet MD. She is currently receiving avastin treatments, and eventually eylea. Will smoking cannabis inhibit the redeeming qualities of the eye injections, or will it not make a difference whatsoever? She is currently taking the AREDS 2 vitamins along with a diet high in leafy vegitables, fish and fruit and daily dieting. Should she nix the marijuana consumption all together? Is it safer to eat it than smoke it? I don’t think enough is known to fully answer your question. My concern is that tobacco smoke is a definite risk factor for macular degeneration and there could be some common factors with marijuana smoke. I would stay away from any form of smoking. The injections really do make a difference in stabilizing the condition.